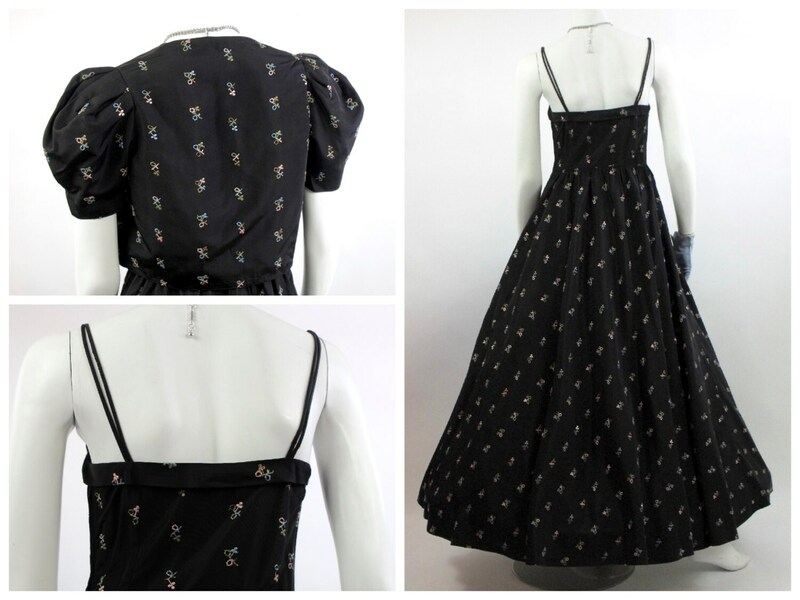 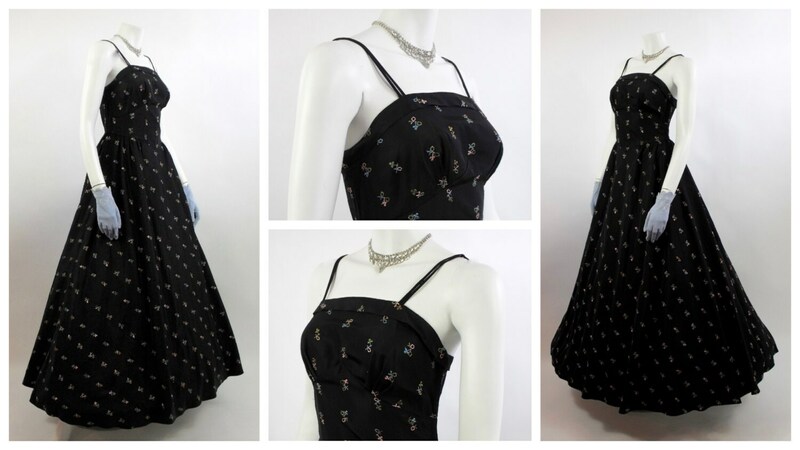 Stunning Taffeta Gown circa early 1950's is in excellent vintage condition. 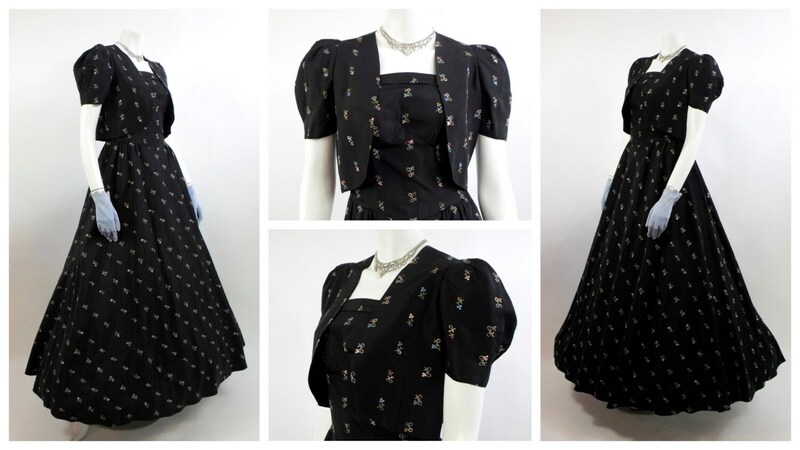 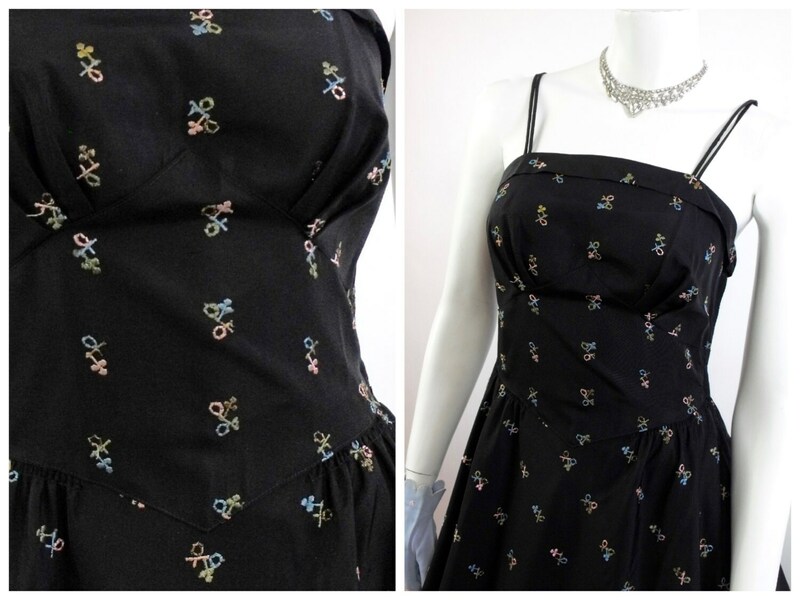 This one of a kind beauty is perfect for a vintage inspired Prom or Graduation. 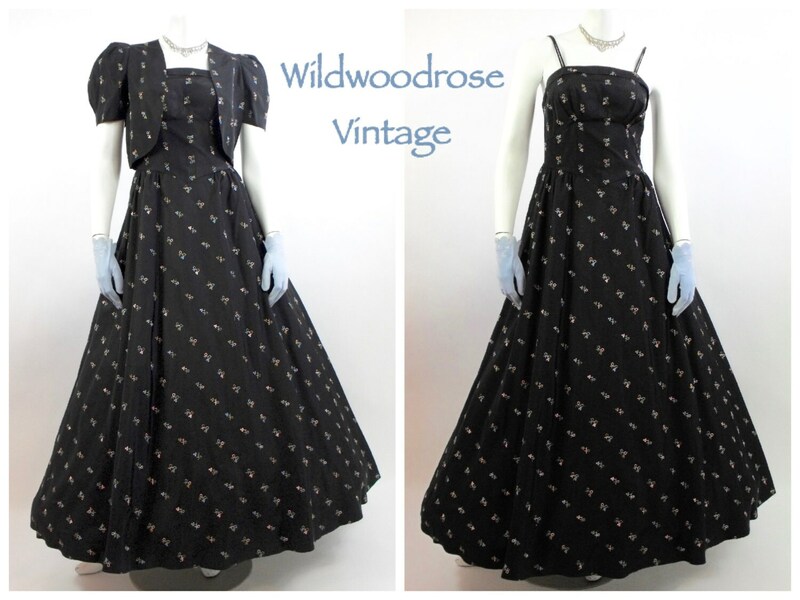 Please note that vintage garments have been worn before and do come with some slight wear.